FILE - The Vietnamese-claimed Southwest Cay island in the Spratly island group is seen from a Philippine Air Force C-130 transport plane. TAIPEI — A rash of incidents since May is threatening to reignite hostilities between neighbors China and Vietnam over control of the contested South China Sea, but Vietnam is seen suppressing its anger in the short term for lack of broader support. The foreign ministry in Hanoi protested last week against Beijing’s announcement of a military drill in the Gulf of Tonkin. That exchange came after China apparently pressured Vietnam and Spanish contractor Repsol to stop a multi-million-dollar offshore oil exploration project in another part of the South China Sea in late July. In July, pro-China maritime activists apparently hacked airline computers at two Vietnam airports. China and Vietnam called off a meeting of foreign ministers at a regional event in Manila last month. In June a Chinese military official cut short a visit to Vietnam, a move analysts call a protest over Vietnam’s offshore fuel exploration. “There’s been a string of setbacks. So (Vietnam) is showing you it’s testy,” said Carl Thayer, Southeast Asia-specialized emeritus professor at The University of New South Wales in Australia. “I think also for Vietnam anti-China sentiment is so toxic that if the government were to face a situation in South China Sea and be perceived by the Vietnamese public as not defending Vietnamese sovereignty, they’d be in real trouble,” Thayer said. Deterioration of Sino-Vietnamese maritime relations, despite years of efforts to cooperate on fishing and offshore oil drilling, would pit the two most volatile South China Sea claimants against each other despite regional work since July 2016 to sideline those differences. The two sides came to blows at sea in the 1970s. Brunei, Malaysia, Taiwan and the Philippines also claim all or part of the South China Sea. Vietnam is not expected to fight back against China for now unless it senses a strong threat, experts say. It lacks clear support from other countries, such as the United States, and a budding alliance with India hasn’t solidified. Vietnam feels “lonely” without someone to back it against China, said Trung Nguyen, international relations dean at Ho Chi Minh University of Social Sciences and Humanities. Vietnamese officials also want to protect trade with China, said Jonathan Spangler, director of the South China Sea Think Tank in Taipei. Imports and exports reached a combined $25.5 billion in the first four months of the year, keeping China as Vietnam’s biggest trading partner. China, which has a controlled economy, can adjust trade and investment in line with its political motives. China might test Vietnam further if Beijing’s Communist Party confirms President Xi Jinping as its chief for another five years at its National Congress, Nguyen said. The Congress is due to take place October 18. China’s party head and president are normally the same person. “After the national congress of the party, he will be more effective and he will be stronger when he can consolidate his power,” he said. Nguyen anticipates a tougher Chinese stance toward Vietnam then on maritime affairs. But China may avoid going too far so other countries, including Vietnam, see it as a cooperative neighbor. 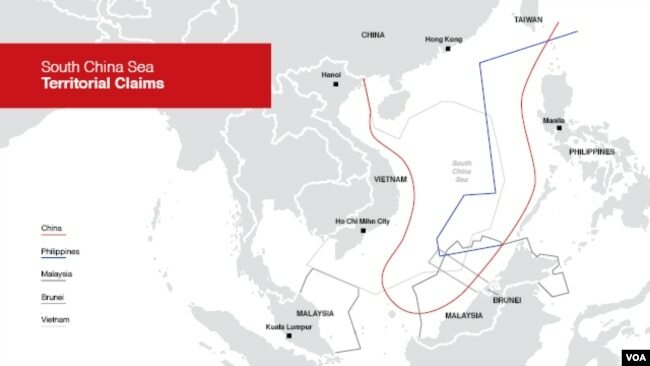 China and the Southeast Asian countries have tried to work together on maritime safety and economic development since a world court tribunal ruled in July 2016 that China lacked a legal basis for its claim to about 90 percent of the 3.5 million-square-kilometer sea. The sea is prized for fisheries, shipping lanes and fossil fuel reserves. Beijing cites historical usage records as a basis for its claims. Border disputes have cramped Sino-Vietnamese relations for centuries. The two sides now contest a swathe of the South China Sea off the long Vietnamese east coast. 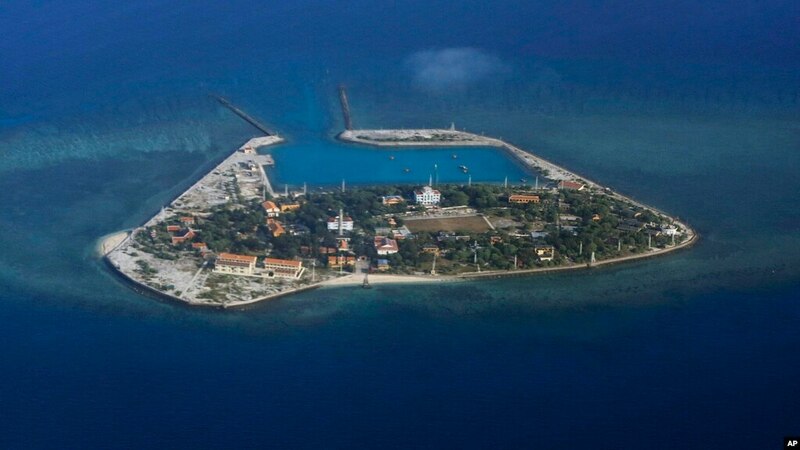 Both have reclaimed land to fortify features in the South China Sea’s Paracel and Spratly island chains. “Sino-Vietnamese relations will remain volatile as they have in the past, but both governments will be constrained by their key interests,” Spangler said. China is widely seen as dominant in the six-way maritime dispute because of its aggressive coast guard patrols and landfill projects that allow combat aircraft on some islets. It has the world’s third most powerful military overall. Vietnam feels China has gained an unfair upper hand by using its larger military to control the contested Paracel Islands. It regularly protests against Chinese military activity, and Thayer says hacking had been reported in the past. Anti-Chinese riots in Vietnam in 2014 killed more than 20 and threatened to scare off investors. 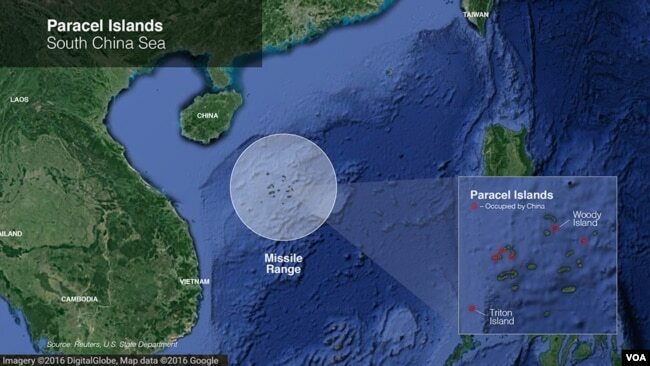 China’s go-ahead to an oil rig in the disputed sea had touched off the rioting. But today officials in Hanoi are probably saving any strident reaction for a stiffer threat to sovereignty, experts believe. "I don’t think any Vietnamese leader can compromise on territorial sovereignty," Nguyen said.